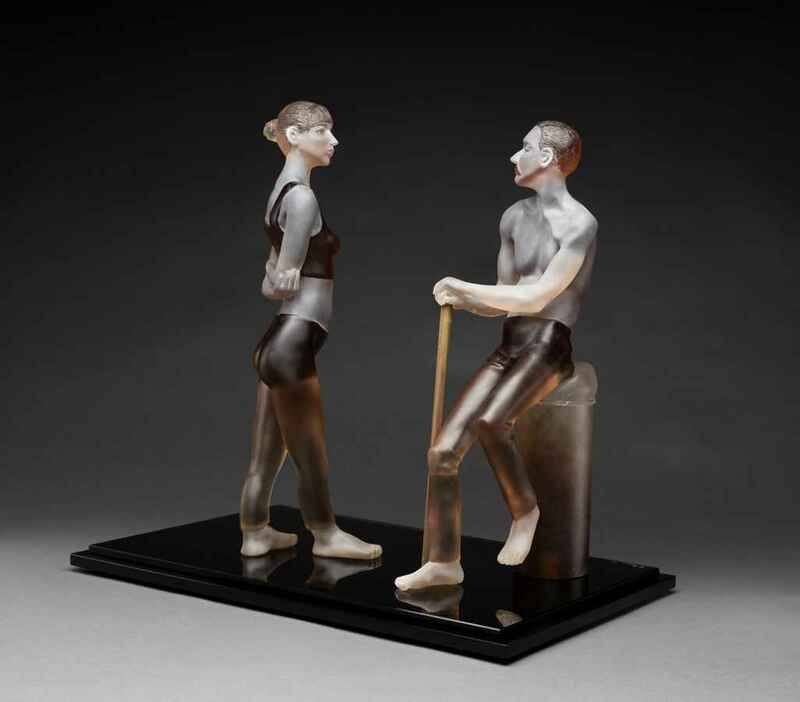 23" x 14" x 22"
Lucy Lyon is internationally recognized for producing evocative glass sculpture driven by a strong narrative impulse. Alluding to contemporary urbanity and youthful independence, her exquisitely wrought figures capture gestures and nuances of exceptional subtlety and strength. The artist’s distinctive works derive from a different, more personal, context than that usually encountered in the modern glass world—individuating her from her contemporary counterparts. Lyon graduated in 1971 from Antioch College, Yellow Springs, Ohio, earning a B.A. in philosophy, and was further educated at Pilchuck Glass School, WA. She has taken a number of workshops across the country from well-known glass artists, and has cited Edward Hopper as a source of inspiration throughout her career. Her works have been exhibited in significant public institutions including: the Redding Museum of Art and History, Long Beach, CA; the Albuquerque Museum, Albuquerque, NM; and, the New Mexico Museum of Art, Santa Fe, NM.